Some of the worst wars are unseen. That successful executive on the Feature page? The bedraggled after-work aunt dozing off on the train? The young man all suited up in stylish A&F? We all live lives of quiet desperation so said Thoreau. We do. We desperately want a better, easier, richer, more colourful, fulfilling, exciting, relaxing... life. We also want more co-operative, agreeable, disciplined, spiritually receptive children, who are more like us. So this war rages on within us. The war of Acceptance. It takes much to accept our lives, and to accept our children. What I have learnt is this: refusing to accept blinds us to the good and robs us of the good to come. Of course there are things that must change. There always will. The children can learn to speak more respectfully. They can be more considerate that the home is a shared space and take care of it. They can contribute ideas, time and even means. There are habits that must be looked at seriously and overcome perhaps. But grumbling about how bad things are hardly ever improves anything. 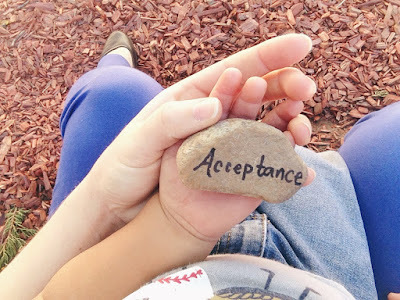 The world is very slow at learning this because the family which is the soil of all human BE-ing has been stripped of so much of this wondrous nutrient called Acceptance. In our eager rush to fit in with the norm, to catch up with the best, to be ahead of the pack, we will forever zoom in on what is 'missing' and 'lacking'. It will be the last twenty marks on that paper 80/100 that captures our attention. All the time we are communicating, 'I cannot accept this'. This is what drives children to suicide. This is what gives us a world that hurtles on with a superficial 'progress' as we watch our souls 'regress'. This is what makes the home a place of strain and tension, not peace and growth. Just how do we get to Acceptance? My god-daughter was diagnosed to be autistic when she was about two. When you have a first born who is clearly marked 'will be successful', a younger sibling who is on a whole different dimension is a hard thing to embrace. But I watch my girlfriend brave the journey. Of course she questioned. Of course she wept. Of course she prayed and wondered and hoped for a miracle. But she also let her love for her daughter lead the way. Her heart shifted to a grieving loss and acceptance, to a fighter's resolve, to a compassionate effort to link arms with other parents like her. It is amazing to see how much my god-daughter is able to do in terms of self-care and relating to others. Acceptance is what makes it possible for us to thrive. Perfection knows the way is not to demand we measure up; but bends down, reaches out, and embraces. The way up is down - laying down in His acceptance of us. And if Perfection in all His wisdom knows the way and shows it to us; why not walk in it? My own little darling was never any issue for me until she began school. The opportunities for her sin nature to feed and manifest grew exponentially as she found language and values that did not agree with how I raised her. Then as she morphed into a petulant, sullen teen; she grew even more unlike me, and started showing distinct personality weaknesses. I have heard many mothers moaned the 'loss' of their little angels! But no amount of sighing and wishing will bring them back! The angel is going through a metamorphosis and our acceptance of this process is critical. It has been said that if you tried to help the butterfly out of the cocoon, you will kill it. That cute little fuzzy, wuzzy caterpillar must meta-morph; and it needs its own time to do so. Our failure to accept indicates that we are holding on to something and cannot behold what is before us with untainted eyes. 'Not good enough' is fed to all our senses everyday that we believe it more readily than what is really before us: a living being that has the potential to change the world. Letting our children be who they are at this point of time is the beginning of acceptance. 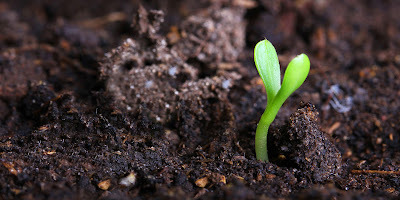 And it is this strong rich soil that feeds and holds up a strong plant. There will be times when storms will come and buffet and as we accept life's challenges and accept our kids as they weather theirs; we won't topple. 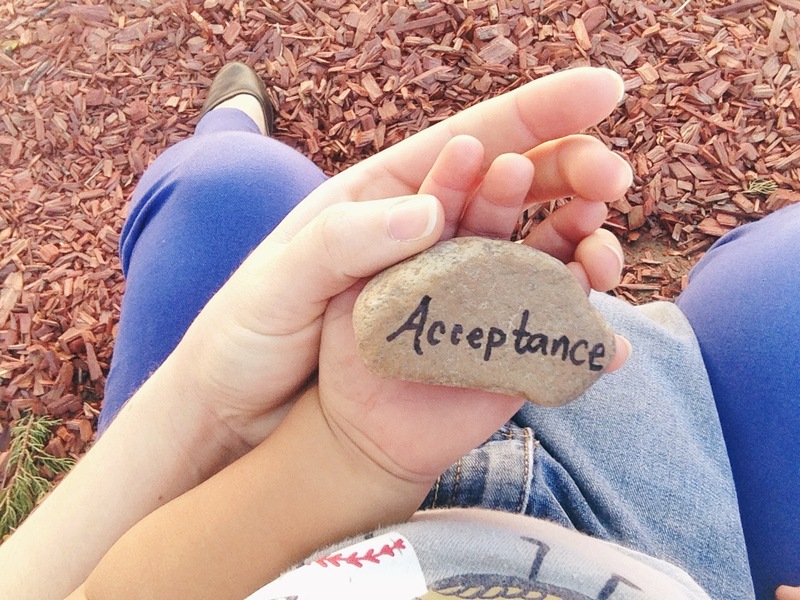 Acceptance also grows as we realise how much our God, our spouse and our children accept us. It's easy to lose sight of this! We always feel our pain most keenly; but we can be a pain too! I learnt to really see my children: where they are at, how they are feeling, what they are struggling with, how they are trying, what they have accomplished. Then to my relish, I see them responding and thriving. Letting go and letting be is where we start. Remembering that we can be a source of grief is a potent, humbling reminder. Good soil that enables a plant to really thrive is nutrient rich with Nitrogen, Potassium and Phosphorous; an unseen army of compounds. 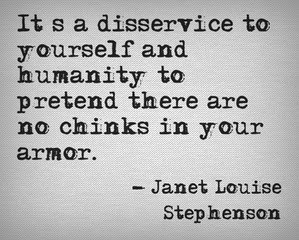 And I can think of no matter battle-effective strategy for this war of Acceptance than oft unseen habit of Gratitude.